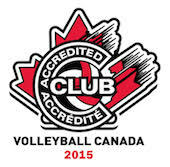 14u Girls dominated the landscape with 6 teams scheduled to play in Oshawa and Cornwall. The Outlaws and Raiders both made the journey down the 401 where the two teams did exceptionally well. The Outlaws placed first in their pool play. They won the quarter final game but loss in the semi-fina‎l game against the Durham Attack Black. In the bronze match, the girls gave up a their lead to lose the first set but were successful in winning the next two sets to capture the bronze medal. Meanwhile at the same event the 14u Raiders struggled against some top ranked teams but showed they are capable of competing at the Championship level. They were able to extend their day with a win over Etobicoke Titans, but fell to the Scarborough Titans after which they rallied back in a tense three-set rematch against Fusion for 5th. The results for the Cornwall adventure are not up yet but stay tuned. At the 17u age group the Goldrush braved the storm in travelling and also felt the wrath of the Premier division in Burlington. Advancing to the Premiere division is the goal of eveery top team in the province and attaining that early is something to be proud of. Maintaining it with a depleted roster is yet another. THe Girls took to the court and battled tooth and nail only to come out on the short end of the draw. Fingers are crossed for the next event with the New Ontario Quebec series. Also at 17u the 16u Wildcards and Gamblers were competing up an age group and finishing in the middle of the pack at their respective events. Also in Kingston this past weekend was the 18u Mustangs. Eager for their first event of the year the Mustangs came out from the tournament with a good feel for their game but again this group was hobbled by injury and bad circumstance with a surprise date with #1 Pakmen in the quarters. A fifth place standing will no doubtly leave a taste in the mouths of the athletes and coaches thirsty to rinse it clean in January. Also on the boys side right here in Orleans were three Maverick squads making noise. Upon walking in to the gym I noticed the feel was similar to a girls tournament with three of the 9 teams sporting the red and black, The Longhorns 16u HP had dropped their pool to the 15u Chargers and the Bulls were about to take on the a Durham attack team that had already lost to two Maverick squads. In the end the Longhorns and Chargers would play for the title and the Longhorns would get their bragging rights back with a straight set victory.